Meghan Markle did not attend Sunday’s Wimbledon Men’s Singles Final match, but Kate Middleton was at the tournament with Prince William. 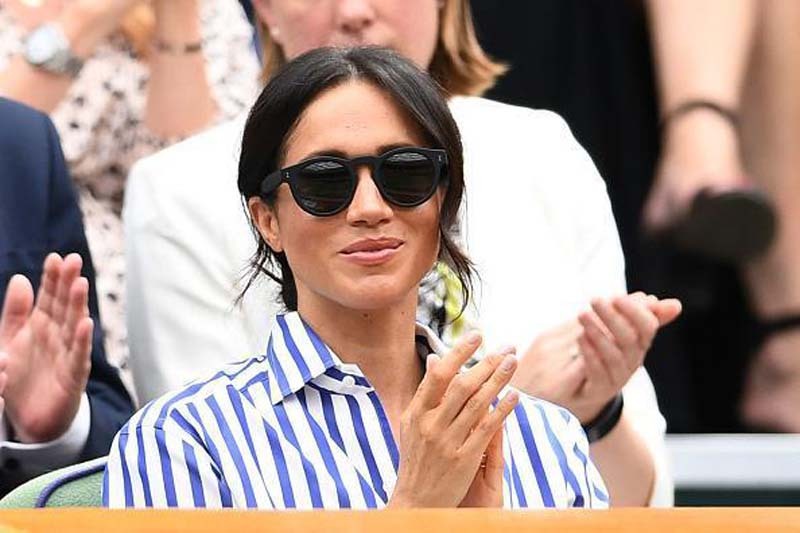 On Saturday, Markle and Middleton watched the Women’s Singles Final together so royal fans thought that the Duchess of Sussex will once again be at the event on Sunday. [post_ads]Amani Hughes, a journalist for Express, is speculating on the possibility that Markle and Prince Harry just took some time off from their public engagements. The couple just returned to London from a two-day trip to Dublin, Ireland last week. Markle would’ve gone on a short break from the time she returned to London, but she decided to watch Wimbledon to witness her good friend Serena Williams’ game. It is also important to note that the official royal family website did not unveil a schedule for Markle and Prince Harry on Sunday. As such, the Duke and Duchess of Sussex could just be enjoying some alone time at home. Meanwhile, Middleton had a blast at the game with her husband. The Duchess of Cambridge wore a bright yellow dress to Novak Djokovic and Kevin Anderson’s match. Once seated, Middleton and Prince William were photographed laughing nonstop. They were also all smiles while watching the game.